Last edited by jserraglio on Fri Jul 13, 2018 6:31 am, edited 1 time in total. I remember buying this as a new release and still have my copy. It was the first recording I'd ever heard that had all the repeats. Like Monteux's Vienna Eroica, which used Beethoven's orchestration for the climax near the end of the first movement, it had the jolt of something new and different. My own listening included the Violin Sonata in D minor, Op. 9 of Karol Szymanowski from the EMI Oistrakh Centennial tribute box of his complete recordings for that label. A very beautiful work. Oistrakh's tone was well captured by EMI in 1954. Another favorite of mine from this perios is his recording of the Bruch Violin Concerto in G minor, Op. 26. Thanks, I did not know that. I will have to listen again. On Saturday, 14 JUL 2018, I listened to 3 CDs. 1) Arcangelo Corelli (1653-1713): Sonate da Chiesa a tre, Op. 5, 10-12. (1689) |Tr. 1-4. # 10 in A Minor (4'41) |Tr. 5-8. # 11 in G Minor (5'50) |Tr. 9-13. #12 in A Major (8'19) ||Sonate da Chiesa a tre, Op. 4 (1694) #s 1-6. |Tr. 14-17. #1 in C Major (6'23) |Tr. 18-21. # 2 in G Minor (7'26) |Tr. 22-25. # 3 in A Major (9'22) |Tr. 26-29. # 4 in D Major (7'04) |Tr. 30-33. # 5 in A Minor (6'14) |Tr. 34-38. #6 in E Major (6'21)--Remy Bauet, Sayuri Yamagata, violins, Albert Bruggen, cello, Mike Fentross, Therobo (Op. 4), David van Ooijen, archlute (Op. 3), Pieter-Jan Belder, organ & harpsichord. CD 5 in a 10 CD Brillaint Classics set of the complete works of Arcangelo Corelli. Dates and venues not given. These are wonderfully soulful works lovingly performed, as have been all the other CDs so far in this set. 2) Ture Rangstrom (1884-1947): |Tr. 1. Symphony 3 in D Flat Major "Songs Under the Stars" (22'00) |Tr. 2-6. Symphony 4 "Invocatio"--Symphonic Improvisations for orchestra and organ (32'35)--Michail Jurowski, cond., Norrkoping Symphony Orch., Mark Fahlsjo, organ. CD 3 of a 3 CD cpo set of the complete symphonies + a few other orchestral works by Rangstrom. Rec 8/1995 Konzerthaus "Louis de Geer" Norrkoping. Rangstrom's few fans have struggled over the years to get him the recognition he deserves. He is not considered politically correct because his music is very nationalistic and filled with bombast, so much so that early on he acquired the derisive nickname "Sturm und Drangstrom." But I find much to admire here, and so do the reviewers at Amazon, who all give this set at least 4 stars, and most of them 5. I concur with the 5 rating. 3) Giacomo Puccini (1858-1924): Works for solo organ. (70'00)--Liuwe Tamminga, organist, playing in organs in and around the Tuscan city of Lucca, where various members of the Puccini family had been organists for a couple of hundred years, one generation after another. This album has 19 tracks. The only one that is longer than 4'48 is Tr. 19, the Grande Fantasia di Emile Tavan from Tosca, transcribed for solo organ. A passacaille CD rec. March, 2017. One of the people who earned a living as a musician in the Chicago area for many years was a man named Darwin C Shoger (4 MAR 1909-17 JAN 1994). He is buried in Naperville Cemetery in DuPage County. He played a steam calliope powered by motors that were about as loud as the music it produced. I met him at a childrens' art exhibition sometime in the 70's on the Wooded Island in Jachson Park in Chicago. The bridge that leads onto the island is the bridge from which Clarence Darrow's ashes were spread. To Hyde Parkers, that, if nothing else, makes the island hallowed ground. Shoger usually played at events like outdoor mall openings, and those auto sales events where the dealers send up searchlights at night to attract customers. It seems to have been a hard scrabble life, but if he lived in Naperville, he must have been very successful at it, as it is definitely what you would call an upscale community, then and now. At any rate, much of the music on this album reminds me of that steam calliope music. No motors sounding of course, but the music on this album has a decidedly festive air about it, more like the sort of music you would get from a carousel at a carnival than music you would associate with a sacred service. Its really great fun, but not very profound. This, however, is not, by a long shot, Puccini's complete organ music. Finding Puccini's organ works, most of which come from very early in his career, is still very much a work in progress. Sone of the music on this album was discovered as late as 2016 and more remains to be done. Most of them were never published, and the manuscripts are scattered all over Italy and other countries as well, mostly in the hands of private collectors. The organist, Liuwe Tamminga is, believe it or not, a native of Friesland, a region of The Netherlands. Not exactly intuitive, but there you have it. On Sunday, 15 JUL 2018, I listened to 3 CDs. 1) Frank Bridge (1879-1941): |Tr. 1. Dance Rhapsody for orchestra, H84 (1908) (19'16) |Tr. 2-6. Five Entr'actes, H. 95 (1910), for the play "Two Hunchbacks," by Emile Cammaerts (1878-1953) (12'05) |Tr. 7. Dance Poem for orchestra, H. 111 (1913) (13'48) |Tr. 8. Norse Legend for small orchestra, H. 60 (1905/1938) (4'48) |Tr. 9-12. The Sea, Suite for Orchestra, H. 100 (1910-11) (22'08)--Richard Hickox, cond., BBC Symphony Orchestra of Wales. CD 2 of a 6 CD CHANDOS set of Frank Bridge's complete orchestra works by these forces. Rec. 19-20 SEP 2001 Brangwyn Hall, Swansea. The recording of the Dance Rhapsody is a world premiere recording, the only such on this CD. It was first performed in 2008 at the Royal College of Music, to "considerable critical acclaim," the composer conducting. But it didn't stick. It received only 3 other performances during the composers lifetime, and it seems to have had only once performance after his death before the one in hand. It deserves better. Bridge was always in love with the full on romanticism of Russian composers, and one can hear their influence here in this very appealing work. 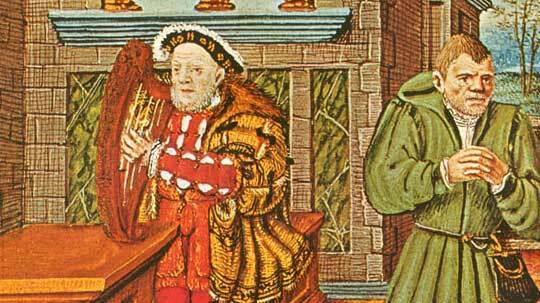 The Five Entr'actes is, of course, incidental music. The author of the play was a Belgian writer. It was first performed as the second part of a double bill in London, organized by Marie Brema, a prominent mezzo-soprano of the day, who had been, among other things, the first Angel in the premiere performance of Elgar's Dream of Gerontius in 1900. She was also the Belgian writer's mother-in-law. It helps to have connections! It is a fairytale set in the Belgian Ardennes, with lots of Belgian folk music providing the basis for the score, which is for a standard theater orchestra of that time. Dance Poem is a short ballet, and in it we find the beginnings of a change of style, to a more conservative, restrained, and disciplined method and style of composition. He is becoming more concerned with formal structure, while still retaining a very romantic approach. Norse Legend was originally composed in 1905 as a piece for violin and pian, but Bridge decided to orchestrate it in 1938. "Seascape paints the sea on a summer morning. From high drifts is seen a great expanse of waters lying in the sunlight. Warm breezes play over the surface. Sea-foam froths among the low-lying rocks and pools on the shore, playfully not stormy. Moonlight paints a calm sea at night. The first moonbeams are struggling to pierce through dark clouds, which eventually pass over, leaving the sea shimmering in full moonlight. Finally, a raging Storm. Wind, rain, and tempestuous seas, with the lulling of the storm and alllusion to the first number is heard and which may be regarded as the sea-lover's dedication to the sea." 2-3) G. F. Handel (1685-1759): Messiah (1742) (2'20'40)--Timothy Dean, cond., The Choir & Orchestra of Pro Christe, Jennifer Smith & Helen Kucharek, sopranos, Linda Finnie, mezzo-soprano, Neil Mackie, tenor, Rodney Macann, bass-baritone. 2 GUILD CDs, rec. St Augustine's Church, Kilburn, London, 1986. Some months ago, I ordered a slough of CDs from Presto Classical in the UK, in response to Lance's telling us of a massive sale on a number of labels there, chief among them GUILD records. I went to the Presto site in response to that post, and found the GUILD records did have the deepest discounts, so I ordred only GUILD records I was interested in., The captioned issue was one of them. I knew nothing about it. I bought it blind, without ever having read a review of it, just bought it on spec, because I am always interested in getting recordings of this work, one of my all time favorites. I am pleased to tell you I lucked out. Although this does not reolace the 1966 Mackerras recording with the English Chamber Orchestra, Elizabeth Harwood, the incomparable Janet Baker, Paul Esswood, Robert Tear, Raimund Herincz & The Ambrosian Singers in my affections, this version conducted by Timothy Dean is now my second favorite recording of this work; I will be listening to it again. This is not one to just retire to my shelves and forget. For me, the touchstone for this work is the low female voice aria, "He was desised." And I have to say only Janet Baker does it better than Linda Finnie, and that by a small margin. And of course, another magnificent part of this work is the Hallelujah Chorus which ends Part II; then he begins Part III with "I know that my Redeemer liveth," a calm, quiet, serene expression of religious faith. Its as if Handel is saying, "Perhaps you thought the Hallelujan Chorus was a tad overwrought. If so, I think this one will really get ya!" This version is marred slightly by the lack of an Amen Chorus at the end. It ends with the chorus "Worthy is the lamb," which is, however, developed into a very fine, rousing chorus in the last bars. That's very odd about the "Amen" missing from the Messiah recording. I've sung Messiah in both Carnegie Hall and Philharmonic (now Geffen) Hall roughly 100 times, and the "Amen" is right there in the score as an integral part of the piece, not an addendum by any means. The commercial recordings I have all include it. Does the booklet that comes with your CDs give any rational for its exclusion? Inquiring minds want to know! BTW: I don't often respond to your reviews. That doesn't mean that you're not being read. No, no explanation or rationale is given for the exclusion of the Amen Chorus. I own the following Messiah's beside the Dean and Mackerras: Cleobury, C. Davis, Jacobs, Marriner, McGegan, Pinnock, Sargent, and Solti. The Dean is the only one without an Amen Chorus. The Beecham set is special because as far as I know, it's all we have of his "Figaro," and indeed of the Da Ponte operas - his complete recordings were of eserraglio and "Flute." For no good reason, EMI bypassed Beecham in that repertoire, and he appears not to have conducted it in the opera house, at least not with microphones. What a delightful record! I remember it was so popular when it came out in the 1960's, I grabbed a copy right away and enjoyed it to the hilt. The first of many such efforts by Wendy Carlos, and her best-selling record, bet never have I seen a copy on CD. Am I missing something? 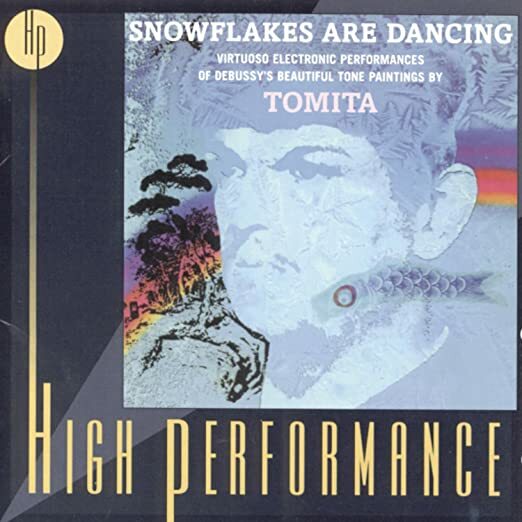 Tomita also explored classical music, and he had a flair for Debussy, said disc was issued IIRC during the 1980's and sold well. If you don't have it, try to find a copy: Golliwog's Cakewalk is truly a very funny masterpiece. I'm taking an interest in all things Polish thanks to my friendship with my physician!! Sir Simon also has a recording of Szymanowski's two quite beautiful Violin Concerti w/Thomas Zehetmair (one of my favorite violinists in XXth Century repertoire). If you don't know these works, please order this OOP five star disc: it's available used for merely two bucks! Thank you, both of you, for those excellent tips. Will listen in a few hours. I did know about the Violin Concerto, having heard it some years ago. I'm seeing my friend on Thursday and can speak with him about this, as we do discuss all things European - Polish in particular. These really are excellent pieces and so reminiscent of Debussy at times. The pianist seems right at home with this repertoire. ​On Saturday, 18 August 2018, I listened to 3 CDs. CDs 1-2. Josef Suk (1874-1935): CD 1, Tr. 1-5. Asrael Symphony in C Minor, Op. 27 (1906) (58'38) |CD 2, Tr. 1-4. Pohadka (Fairy Tale), Op. 16 (1900) (30'00) |Tr. 5-8. Serenade for Strings in E Flat Minor, Op. 6 (1892) (29'41)--Jiri Belohlavek, cond., Czech Philharmonic. 2 CD CHANDOS set. Rec. Spanish Hall, Prague Castle, 17, 19, 21 June 1991 (CD 1), & Dvorak Hall, Rudolfinum, Prague, 22, 25, 26 June 1992 (CD 2). Per Wikipedia, "The Asrael Symphony for large orchestra in C minor, Op. 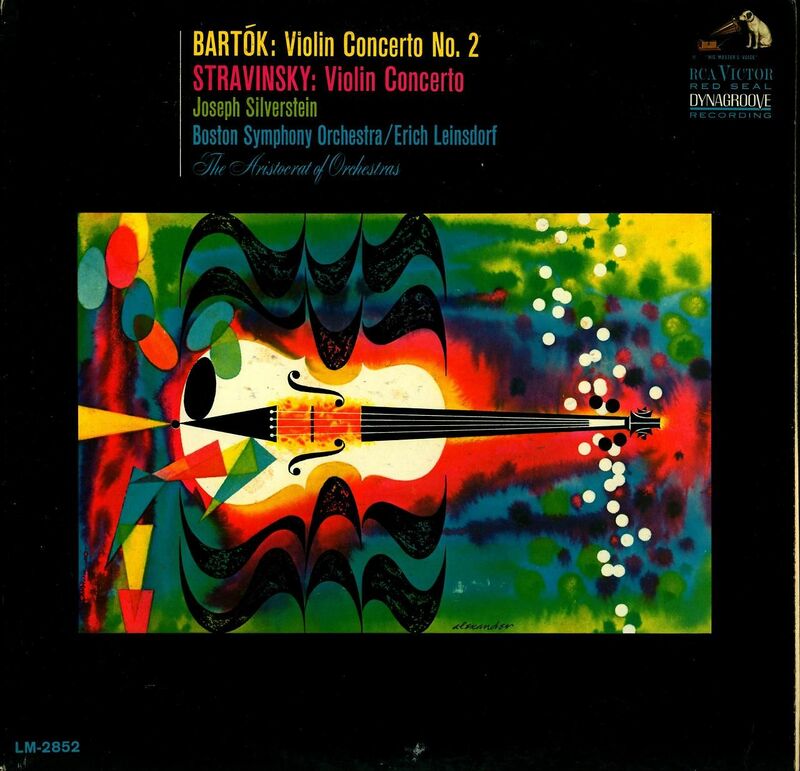 27 (1905–1906), is a Czech symphony composed by Josef Suk. Suk wrote the work in memory of his father-in-law and teacher, Antonín Dvořák (died 1904), and his wife (Dvořák's daughter) Otilie Suková (née Dvořáková) (died 1905). "The fearsome Angel of Death struck with his scythe a second time. Such a misfortune either destroys a man or brings to the surface all the powers dormant in him. Music saved me and after a year I began the second part of the symphony, beginning with an adagio, a tender portrait of Otilka. 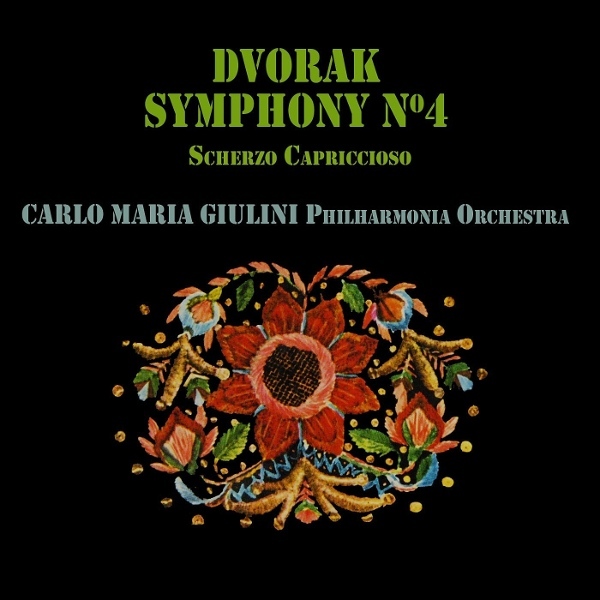 "The influence of Dvořák's composing style, apparent in Suk's previous work, is not noticeable in this composition, according to Vysloužil, who writes that Suk develops his musical language rather toward modern polyphonic and harmonic techniques. Suk included several music quotations in tribute to his father-in-law and wife, including quotes from Dvořák's Requiem and opera Rusalka." "Pohadka is an orchestral suite from incidental music composed by Suk for Julius Zeyer's mythological drama Raduz and Mahulena (1898). The Serenade for Strings was composed while Suk was still studying with Dvorak at the Prague Conservatory. Dvorak noted a melancholic strain in his work, and recommended he compose something with a little lighter touch. The Serenade was the result. Its publication was recommended by Dvorak's longtime friend Johannes Brahms; this was thus the piece which brought Suk to internation attention for the first time. 3. CD 2 of a 5 CD box ntitled "Hommage a Herman Scherechen from Tahra Records. Soloists: Magda Laszlo, Lucienne Devallier, Petre Monteanu, and Raffaele Arie. This voilume is a 46'45 rehearsal of a Beethoven Ninth Symphony with the RTSI Lugano Orch & Chorus from April 1965, rehearsed with Scherchen speaking like fluent Italian. Mvt 1 (15'46), Mvt 2 (9'02), Mvt 3 (13'05), and Mvt 4 (28'52). Actually, the full performance for which this rehearsal was a preparation is also available on the MEMORIES label. I don't have it, but I want it. Accents and contrasts and drama are strong in this rehearsal, and the singers are good, particularly Raffaele Arie, the Bulgarian basso profundo. This morning Demidenko playing Bach/Busoni transcriptions. Way, way too much pedal!! Begun this morning . . .
Last edited by jserraglio on Mon Aug 20, 2018 7:45 am, edited 6 times in total. Szymanowski "Masques" on Friday and Penderecki (the religious work you posted) on Sunday!! Bach/Buson, "Nun komm, der Heiden Heiland". One of my dearest friends has just emailed to say her son was killed in a car accident on Monday afternoon and I'm in total shock. She lives 400km from here so I can't rush over. Oh, Belle, I'm so sorry! Deepest condolences! My nephew-in-law has a tendency to "drive like a demon" and I worry about him and our dear niece as well. Thank you so much; what a lovely man you are. And my friend is the most generous, funny, intelligent, giving and thoughtful human being I've ever known. She writes to me again this morning about what this loss means to her. Her son was about to graduate from Nursing at the end of the year after studying for 3 years and working as a cleaner at night to support himself. A truck driver didn't see him and he had the right of way! I will drive up to be with her near the Queensland border, but it's music for me right now. 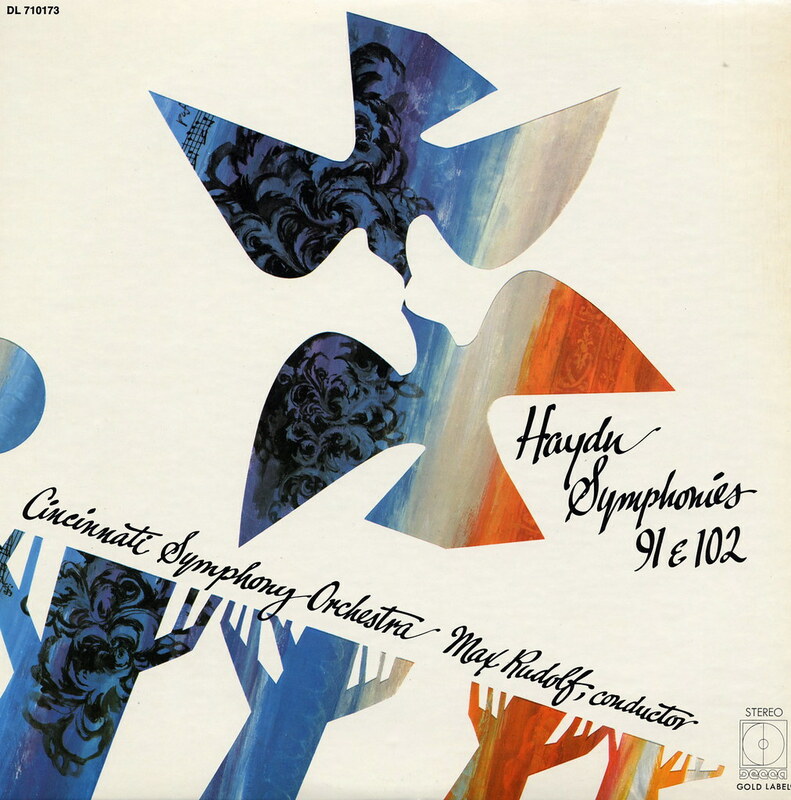 January 22, 1938 - Cherubini Anacreon Overture; Haydn Symphony #98; Brahms Serenade #2; Wagner Meistersinger Overture. February 19, 1938 - Handel Concerto Grosso Op.6, #12 in B minor; Haydn Symphony #88; Roussel Spider's Feast; Weber Invitation to the Dance. October 22, 1938 - Rossini Cenerentola Overture; Strauss Don Quixote [Feuermann, cello]; Beethoven Symphony #5. December 3, 1938 - Beethoven Symphony #3; Wagner Forest Murmurs, Siegfried's Death and Funeral; Rienzi Overture. Currently listening to the Berliner Philharmoniker Digital Concert Hall on a direct broadcast of a concert performed earlier in the day. Petrenko out front, Beethoven #7 being played. Allegretto way too fast and the decorations played as triplets. Extremely disappointing. The whole thing is glib and the architecture of the inner parts is entirely missing and it's all surface, surface. Has anybody else been watching? I'm not so fussed about this Kirill Petrenko. jserraglio wrote: Toscanini/NBCSO Marathon:January 22, 1938 - Cherubini Anacreon Overture; Haydn Symphony #98; Brahms Serenade #2; Wagner Meistersinger Overture. Toscanini's Haydn performances were generally excellent, more so than his Mozart. But in no. 98 even he, like all conductors until recently, omits the keyboard solo at the end of the finale. This is ironic, as he scolded Koussevitzky as ignorant for performing a Mozart divertimento without a violin cadenza where required, and recorded the same piece to show how it should be done. ​On Sunday, 26 August 2018, I listened to 4 CDs. CD 1. W.A. Mozart (1756-91): Tr. 1-3. Piano Concerto 23 in A Major, K. 488 (23'55) |Tr. 4-6. Piano Concerto 24 in C Minor, K. 491 (29'28)--Robert Casadesus, piano, Geoge Szell, cond., Columbia Sym. Orch. (23), Cleveland Orchestra (24). Rec. in Severance Hall, Cleveland, 14-15 NOV 1959 (23), 3-4 NOV 1961 (24). CD 2 of a 5 CD collection of all Robert Casadesus's recordings of Mozart concerti for SONY. 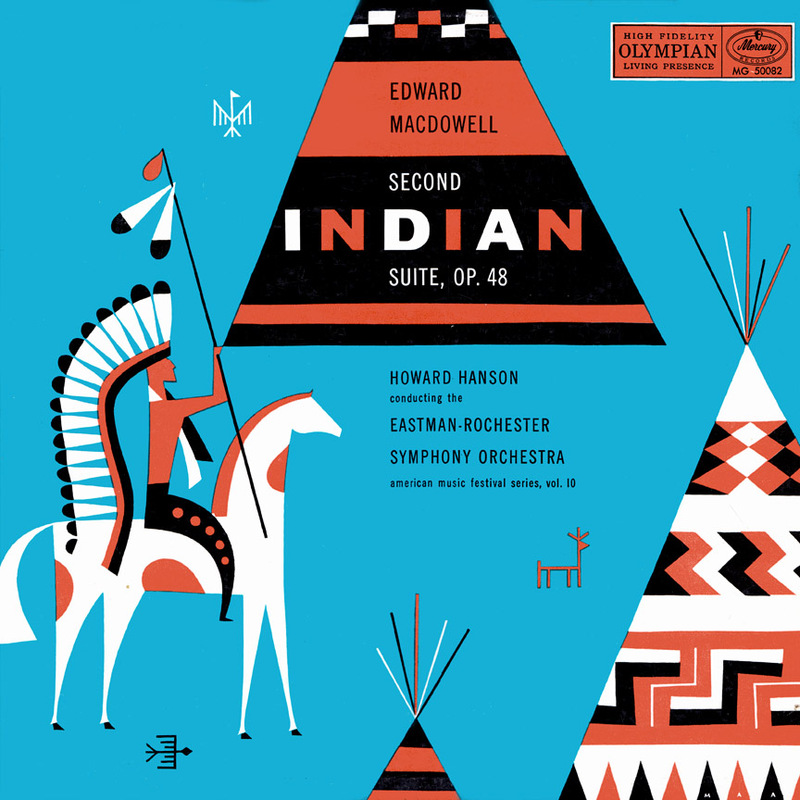 These are, quite simply, the greatest recordings of these works every made. CD 2. Arcangelo Corelli (1653-1715): Sonate da Chiesa a tre, Op. 4 (7-12): |Tr. 1-4. 7 in E (6'45) |Tr. 5-7. 8 in D Minor (4'44) |Tr. 8-11. 9 in B Flat (10'42) |Tr. 12-14. 10 in G (4'40) |Tr. 15-17. 11 in C Minor (7'44) |Tr. 18-20. 12 in B Minor (7'44). ||Tr. 21-24. Sonata a tre in G Minor (WoO9) (5'34) |Tr. 25-27. Sonata a tre in G Minor (WoO10) (7'46)--Remy Baudet, Sayuir Yamagata, violins, Albert Bruggen, Frank Wakelkamp, cellos, Mike Fentoss, therobo, Pieter-Jan Belder, organ--CD 6 of a 10 CD set of the complete works of Arcangelo Corelli on Brilliant Claassics. This set is indepensible to any lover of Arcangelo Corelli's music. CD 3. Jean Sibelius (1865-1957): Tr. 1-4. Symphony 2 in D Major, Op. 45 (44'00) |Tr. 6-7. Karelia Suite, Op. 11 (14'20)--Pierre Monteux, cond., London Symphony Orch. (Sym), Lorin Maazel, cfond., Wiener Philharmoniker. Australian Decca Eloquence CD. Rec. Kingsway Hall, London, June, 1958 (Sym), Sofiensaal, Wien, , March 1963 (Karelia). In its London Stereo Treasury incarnation, this Monteux recording of the Sibelius 2 was my very first recording of the work, and I fell in love with it. I have heard many other versions since then, and, objectively, some of them are better. But none has surpassed this recording in my affections. I never met the man personally, but to me, Pierre Monteux seems like an old and very congenial friend. CD 4. CD 1 of a 14 CD Decca set containing all the Decca monaural recordings of Arthur Grumiaux (1921-86), one of the greatest of 20th century violinists. |Tr. 1-3. Beethoven (1770-1827): Violin Concerto in D Major, Op. 61 (42'02)--Eduard van Beinum, cond., RCOA, rec. 6/1957, Amsterdam |J.S. Bach (1685-1750): |Tr. 4-6. Violin Concerto in A Minor, S. 1041 (15'23) |Tr. 7-9. Violin Concerto in E, S. 1042--Leon Guller, cond., Guller Chamber Orchestra--rec. 7/ 1955. The Grumiaux/Galleira recording has long been my favorite recording of the Beethoven VC, but friends have told me that the van Beinum was even better. Is it? I'm not sure, though this recording is very impressive, indeed. And if you're worried about the early sound, don't. Thes performances, though in mono, sound as fresh as if they were made yesterday. As for the Bach concerti, well, these are no compromises modern instrument recordings. Other than that, they are also excellent performances. My favorite in these works, however, remains the Hillary Hahn recording with Jeffrey Kahane and the Los Angeles Chamber Orchestra. Last edited by RebLem on Mon Aug 27, 2018 2:42 pm, edited 1 time in total. 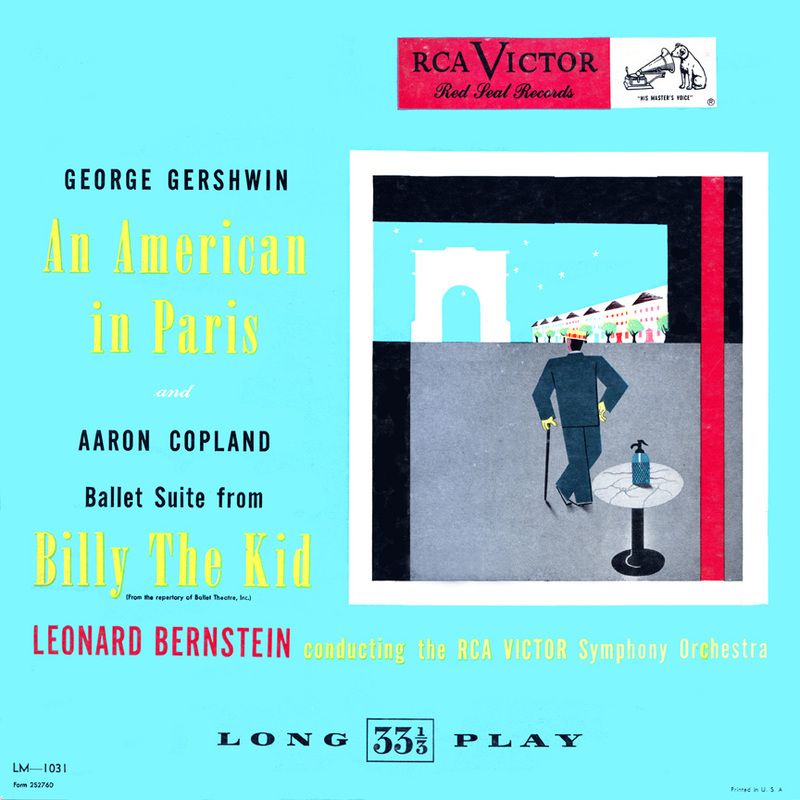 Back in the pre-stereo 1950s, I remember that there were two top choices for the Beethoven concerto in what was called high fidelity sound: Grumiaux and van Beinum with the Concertgebouw Orchestra, and Milstein and Steinberg with the Pittsburgh Symphony. I chose Grumiaux/van Beinum because I'd heard the orchestra and conductor in two concerts and was strongly impressed, and was satisfied with their recording for many years. 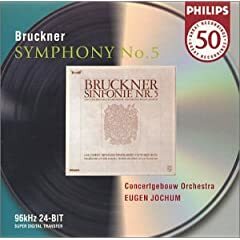 At the time, Philips was recording mainly with Dutch orchestras - the company was based in the Netherlands - so there are a great many van Beinum recordings of that vintage. He was also the London Philharmonic's music director and recorded often with them for Decca/London. Largely forgotten now except perhaps in his home country, he was an excellent, strong conductor, stronger I'd say than his successor Bernard Haitink, and of course he was leading one of the world's greatest orchestras at the time. Whether he himself was a great one is another matter. For me, only those who put an individual, personal stamp on their performances can qualify, whether in their interpretive ideas, their sound, or both, and van Beinum was perhaps too mainstream to stand out. But the many recordings of his that I have are very satisfying, and they connect with my personal experience of the conductor and his orchestra. I became interested in music before I became interested in comparing different interpreters. 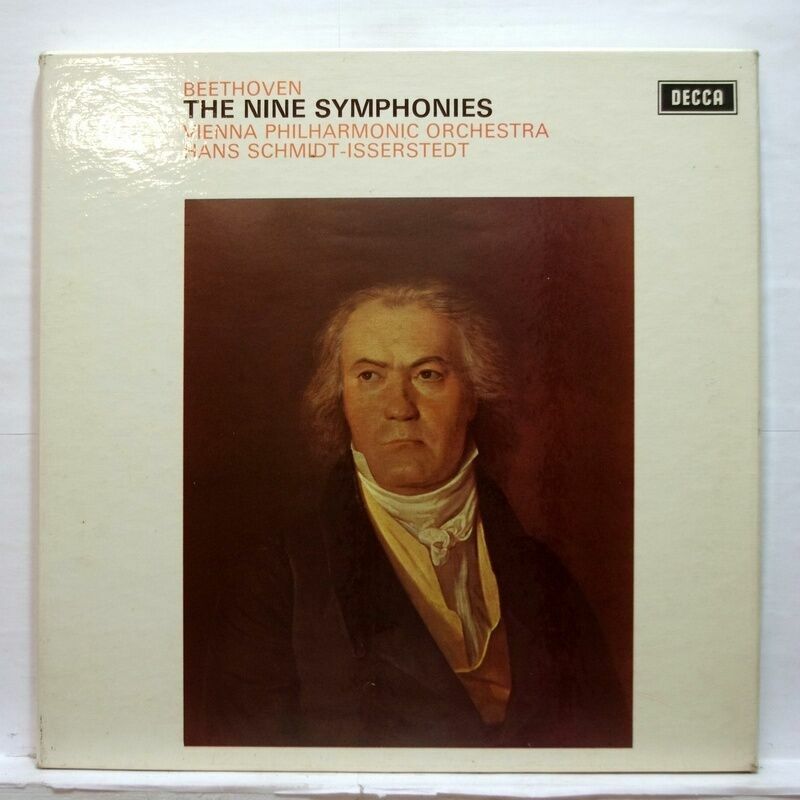 My first recording of the Beethoven concerto was the Oistrakh/Cluytens LP. The Menuhin/Furtwangler became a favorite for a while, but I think that, although it is a great recording, its greatness is exaggerated because of the noble backstory behind it. The Milstein is a relatively recent acquisition, too, and it is something of a favorite and its a best buy too, containing as it does a good recording of the Brahms concerto as well. Not as well-recorded as the Decca Fitzwilliam set, but better musically. Working my way through the set in chronological order. Last edited by ContrapunctusIX on Fri Aug 31, 2018 3:32 pm, edited 1 time in total. Last edited by jserraglio on Sat Sep 01, 2018 5:43 am, edited 1 time in total. If you can get it, the original Borodin Quartet (with Rostislav Dubinsky, 1st violin) is best of all, I'd say, though it omits the quartets composed after Dubinsky emigrated. Kopelman is certainly a good player but not so special. I'm ashamed to admit I don't know any of the Shostakovich string quartets. What am I missing? The 8th is generally considered the best of the lot, but I love them all, especially the last two. The last one, #15, has premonitions of death and is very somber, very much in line with his 15th symphony. No two quartets are in the same key, and it was Shostakovich's intention to compose 22 string quartets, one for each key, but he never fulfilled that ambition. You are right that for performances, the Borodin in still unsurpassed, but the St Petersburg Quartet set is almost as good as far as performances are concerned, and infinitely better than the Borodin in sound quality. Be prepared for lots of repetition and self-quotations in these works. I'll check out online the Shostakovich Quartets you've mentioned. When he hung up his mobile phone I hadn't hung up mine and I heard him speaking to the owner, "she's got it working; she's fixed it (pause).. that woman lives on another planet"!! He's a lovely man so he gets away with it; I haven't got the heart to tell him I was listening!! Shostakovich's 8th quartet is, as he said, his own epitaph, with many quotations from his own music. The 15th, unlike the 15th symphony, seems obsessed by death - it consists of six movements in the same adagio tempo. For a more characteristic and less morbid quartet I suggest the 3rd, dating from 1946 and, according to Shostakovich, reflecting on the war just ended.